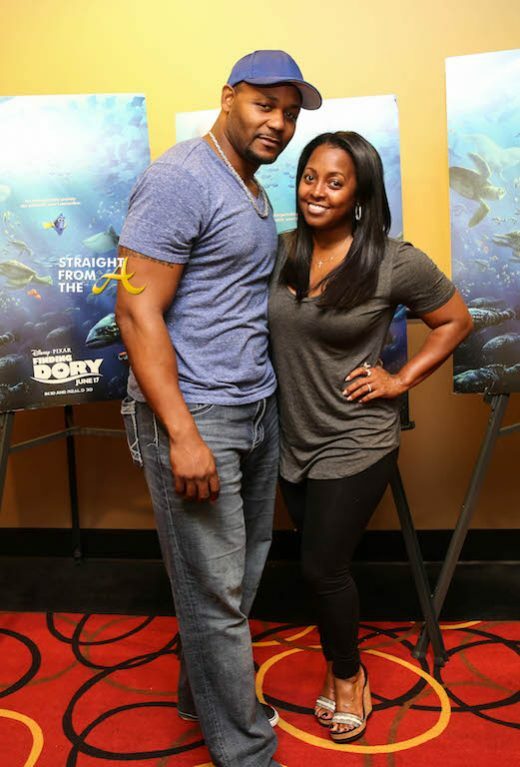 In celebration of the release of Disney and Pixar’s highly anticipated new film, FINDING DORY, Actress Keshia Knight Pulliam hosted a private, advance screening for members of her Kamp Kizzy Foundation and her hubby Ed Hartwell was right by her side for the photo op! The fun-filled evening took place at AMC Phipps Plaza in Atlanta last night (June 14, 2016) and several of Keshia’s celebrity friends came out for support. Attendees included: Toya Wright, Monyetta Shaw, Sheryl Lee Ralph, Dr. Heavenly Kimes, Chef G. Garvin, Headkrack, Monie Love and more.